When you’re injured, you’re suffering physically, mentally, and financially. Unfortunately, that means that you’re dealing with high expenses that make it difficult to recover after your injury. You’ll need to fight for your compensation, but what compensatory damages can you expect? By this point, you might have already heard of economic and non-economic damages, and you might be confused. What are economic damages in Idaho, and how are they different from other types of damages? 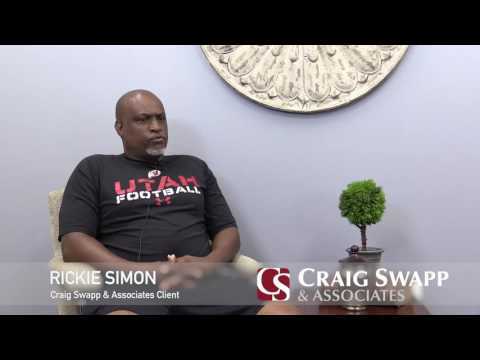 Fortunately, a lawyer from Craig Swapp & Associates can help you understand what economic damages are and determine which ones you’ve suffered. Economic damages differ from other types of damages because these damages cover all objective, tangible losses. While non-economic damages might cover the mental and emotional pain you’ve experienced, your economic damages should cover your financial losses. For example, you might have slipped and fallen in a store, and you broke your leg. While you should also receive compensation for the pain and suffering you’ve experienced, your economic damages will cover the financial costs you’ve accumulated, like hospital bills. It can also cover any household services you’ll need; if you’re unable to care for yourself or your home while you heal, you may need to hire someone for this. You’re also likely losing wages while you’re recovering. This loss should also be covered, since you wouldn’t be missing work and your paychecks if you hadn’t suffered these injuries. As such, even a broken bone can be expensive, but your economic damages should cover it. Your economic damages should also cover any replacements you need to make when the damage is serious. For example, let’s say another driver caused an accident and you were badly injured. You should receive compensation for your injuries and lost wages, but what about your car? In some serious accidents, your car might be completely totaled. You’ll need to replace it if the repairs will be especially difficult or expensive. In this case, you’ll need compensation for the vehicle and its replacement. This includes other property as well. You might have been carrying expensive equipment, such as musical instruments. When these are damaged by another person’s carelessness, you shouldn’t have to pay out of your own funds to replace them. Calculating the full cost of your economic damages can be difficult. You’re likely dealing with overwhelming expenses, and it can be confusing. You’ll need to make sure all your financial losses are covered, including the future expenses you’ll deal with, but you might not have even known what economic damages are in Idaho before today. If you’re not certain what economic damages you should include in your Idaho personal injury claim, talk to a lawyer from Craig Swapp & Associates. You’ll need someone to help calculate the full compensation you’re owed, and an Idaho attorney can do that. So, reach out for a free consultation about your claim. Before you sign, we’ll show you what we can do for your claim, including calculating all damages you could be awarded. To take advantage of our offer, call 1-800-404-9000 or complete the form below.